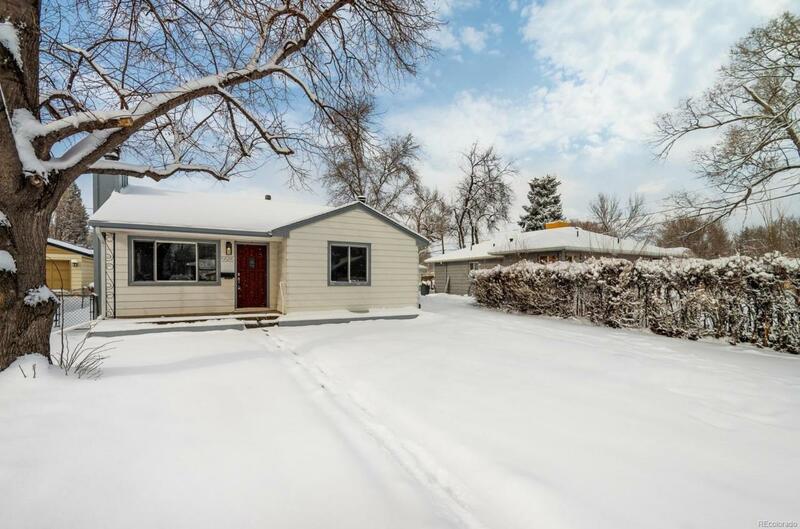 OLDE TOWN ARVADA GEM! GORGEOUS FINISHES: original wood floors, quartz countertops, new stainless appliances including self-clean oven and ice maker french door fridge, dovetail soft-close shake cabinets, marble backsplash, subway tile, two-tone paint, nickel hardware, original hardwoods. FANTASTIC LOCATION: walk to Old Town and new Light Rail. GREAT FLOORPLAN: open concept great room, good sized bedrooms, large basement to grow into. GREAT LOT: sprinkler system, space to add garage, long driveway for RV parking. new north side fence coming.